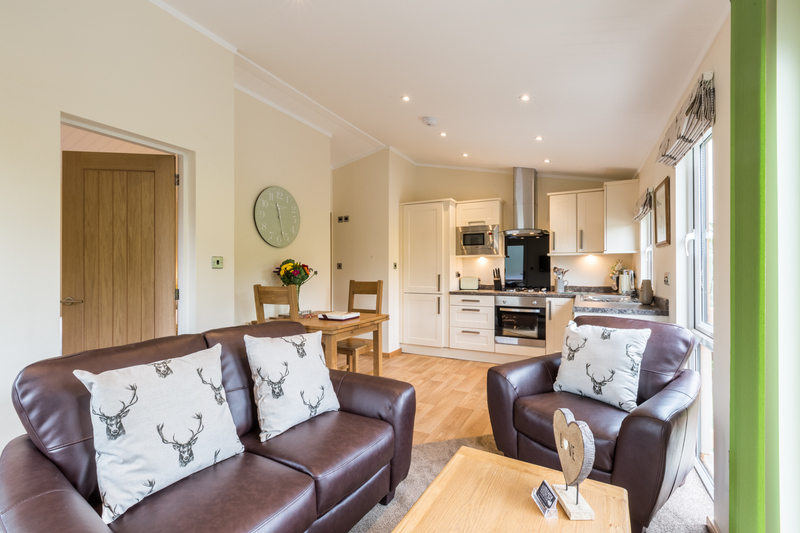 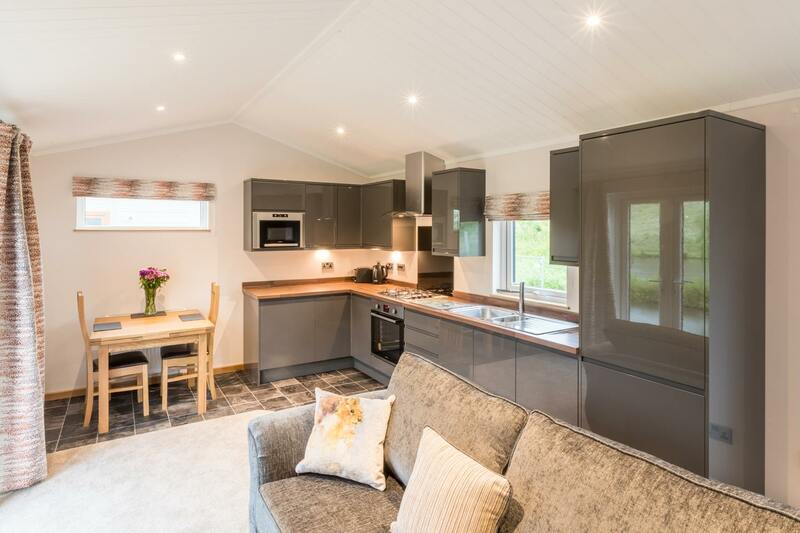 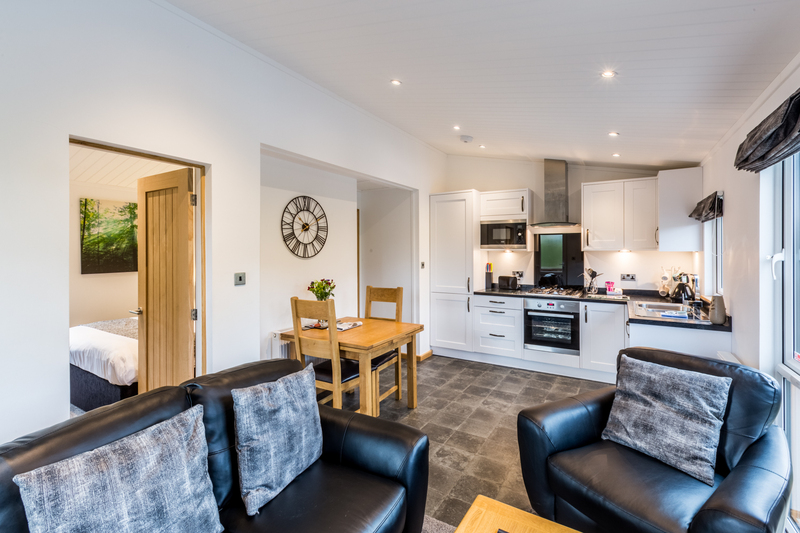 A delightful pet friendly detached lodge situated within ‘Littlemere’, The Nest has everything you might need, this bespoke lodge has an open plan kitchen/ lounge with a coal burning stove, a generous sized bedroom with a king-sized bed and TV/DVD. 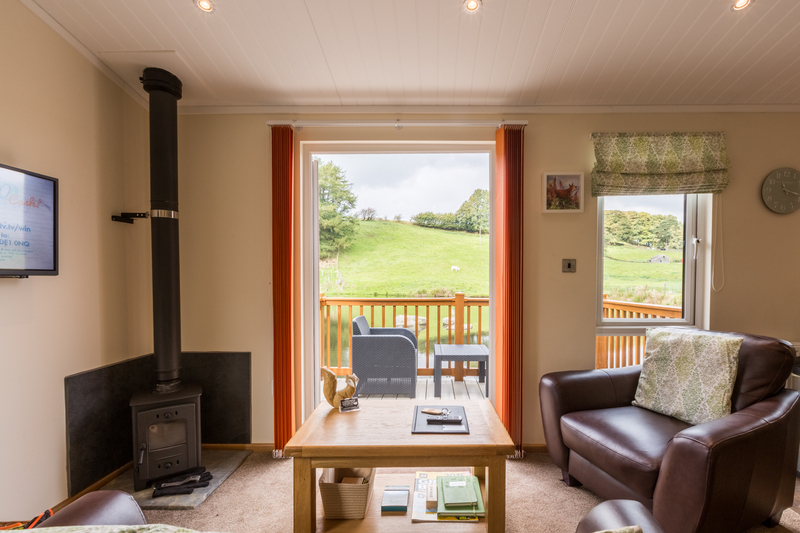 The bathroom has a Jacuzzi Bath so you can soak at the end of an exhilarating hike. 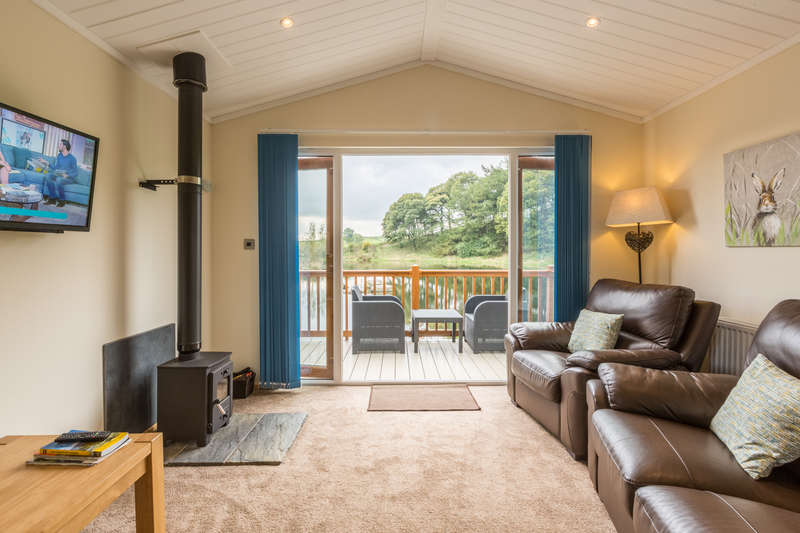 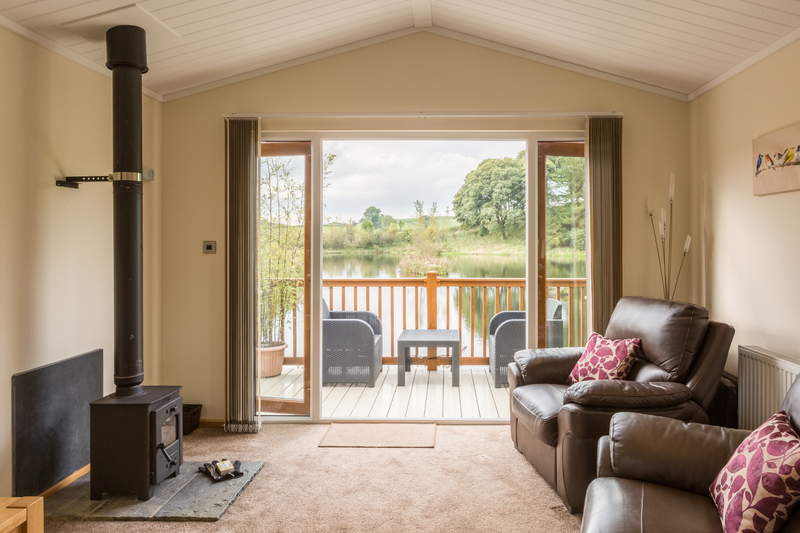 The open plan lounge with large windows has fantastic views of the surrounding hills and woodland, with patio doors opening onto enclosed lakeside decking, the perfect place to sit back and relax. 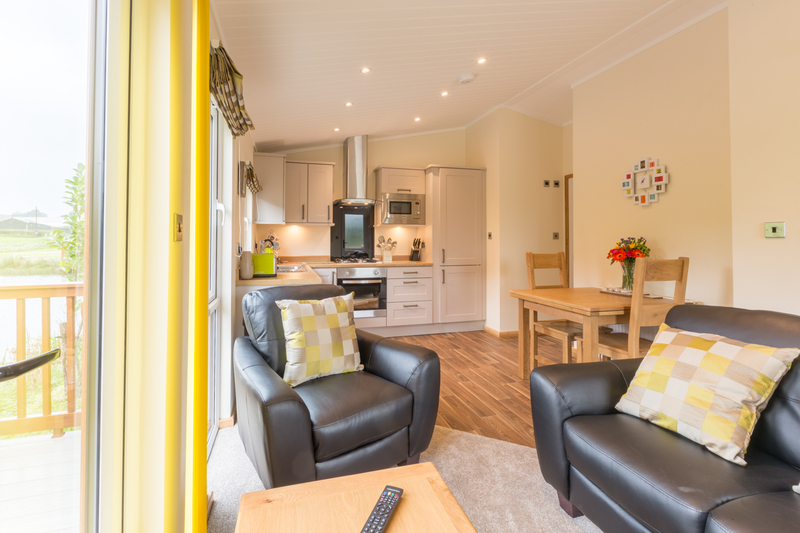 All our lodges are furnished to a high standard with a king-size bed, suitable for upto 2 adults.